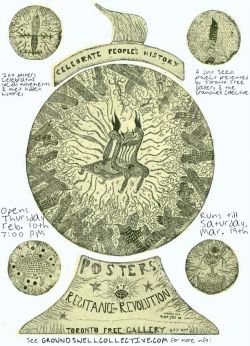 Toronto Free Gallery and Groundswell present Celebrate People’s History! The full collection of CPH Posters will be on display at Toronto Free Gallery from February 10 – March 19, 2011. The opening will be held on Thursday, February 10th at 7:00PM. Thanks for spreading the word! Hope you can come by the gallery and say hello sometime.